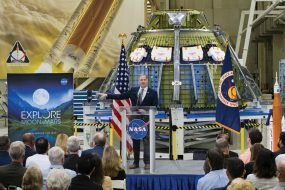 NASA took an important step Dec. 18 to establish regular crew missions that will launch from the United States to the International Space Station with the order of its second post-certification mission from Boeing Space Exploration of Houston. 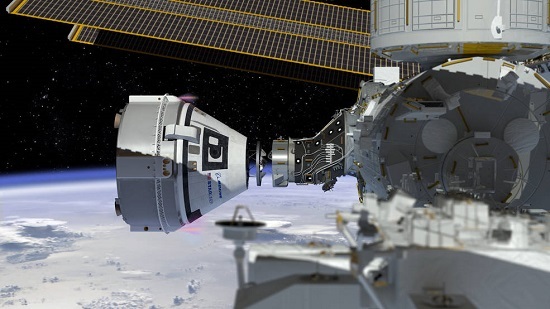 This is the third in a series of four guaranteed orders NASA will make under the Commercial Crew Transportation Capability (CCtCap) contracts. Boeing and SpaceX received their first orders in May and November, respectively, and have started planning for, building and procuring the necessary hardware and assets to carry out their first missions for the agency. NASA will identify at a later time which company will fly a mission to the station first. Boeing met the criteria for NASA to award the company its second mission with the successful completion of interim developmental milestones and internal design reviews for its Starliner spacecraft, United Launch Alliance Atlas V rocket and associated ground system. Boeing’s Commercial Crew and Cargo Processing Facility at Kennedy Space Center in Florida is seeing the buildup of the Starliner structural test article, and nearby, the main column of the crew access tower is in place at Cape Canaveral Air Force Station’s Space Launch Complex 41. Flight trainers are nearing completion in Boeing’s St. Louis facility and rocket parts are starting to come together in Huntsville, Ala.
Commercial crew missions to the space station will restore America’s human spaceflight capabilities and increase the amount of time dedicated to scientific research off the Earth, for the Earth and beyond. A standard commercial crew mission to the station will carry up to four NASA or NASA-sponsored crew members and about 220 pounds of pressurized cargo. The spacecraft will remain at the station for up to 210 days, available as an emergency lifeboat during that time. Orders under the CCtCap contracts are made two to three years prior to actual mission dates in order to provide time for each company to manufacture and assemble the launch vehicle and spacecraft. Each company also must successfully complete a certification process before NASA will give the final approval for flight. Each provider’s contract includes a minimum of two and a maximum potential of six missions. NASA’s Commercial Crew Program manages the CCtCap contracts and is working with each company to ensure commercial transportation system designs and post-certification missions will meet the agency’s safety requirements. Activities that follow the award of missions include a series of mission-related reviews and approvals leading to launch. The program also will be involved in all operational phases of missions to ensure crew safety.